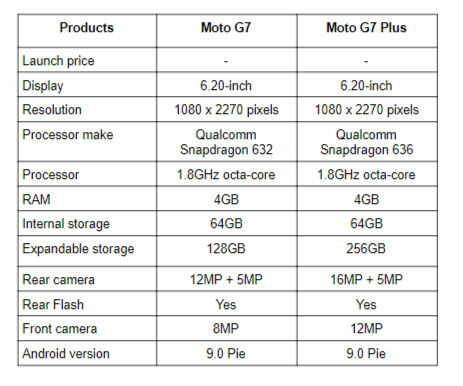 The Motorola has recently announced four new smartphones in its G series smartphone lineup G7, G7 Plus, G7 Play, and G7 power. Today, we are comparing the Moto G7 with Moto G7 Plus to see the difference between the two? 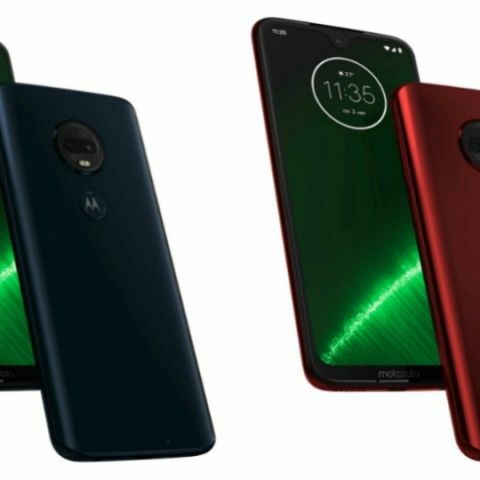 The Motorola has finally announced that they are going to launch four new smartphones in India under its G series lineup. Out of four devices, the most premium one of the lot is the G7 Plus. The Motorola G series is mainly known for offering solid specifications at a reasonable price. However, the time will tell whether the new devices by the company will able to sustain that image among people or not. We have picked two smartphones to compare out of four - the G7 and G7 Plus. So, let’s see what is the difference is there between the two devices in terms of specifications. Let’s begin by comparing the display of these two smartphones. The Moto G7 sports a 6.2-inch display that offers a resolution of 1080 x 2270 pixels, while the Moto G7 Plus also features the same 6.2-inch display that offers a resolution of 1080 x 2270 pixels. When it comes to the processor, the Moto G7 is powered by a Qualcomm Snapdragon 632 processor, which is paired with 4GB RAM and 64GB internal memory, which is expandable to up to 128GB via a microSD card. The Moto G7 Plus comes with a faster Qualcomm Snapdragon 636 chipset that is coupled with 4GB RAM and 64GB internal memory, which is expandable to up to 512GB via a microSD card. When it comes to the cameras, The Moto G7 has a dual 12MP + 5MP rear cameras and an 8MP sensor on the front. On the other hand, the Moto G7 Plus has a dual 16MP + 5MP rear cameras along with a 12MP unit on the front for clicking selfies. The Moto G series is expected to launch in India very soon. However, there is no official confirmation came from the company about the launch yet.